We have educated the activists about our pro-life feminist history. We have educated the students. And we have worked with university administrators during FFL Pregnancy Resource ForumSM. But no one, not even FFL, has taken on the task of educating the educators about our rich, feminist history — until now. 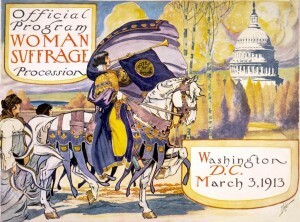 So this March, we will make women’s history by sharing it with those who teach it. 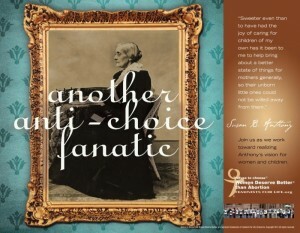 Feminists for Life of America is pleased to announce our first of a kind effort to provide college professors documentation about the pro-life feminist writings of Susan B. Anthony, Elizabeth Cady Stanton, Victoria Woodhull, Mattie Brinkerhoff, Drs. Elizabeth Blackwell and Charlotte Lozier and dozens more. 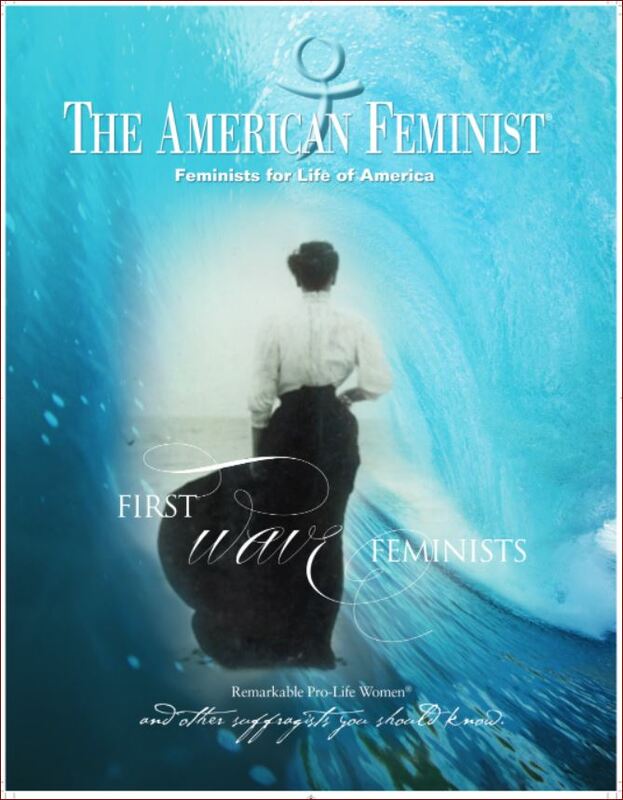 In celebration of Women’s History Month, FFL is presenting copies of “First Wave Feminists: Remarkable Pro-Life Women® and Other Suffragists You Should Know” to women’s historians teaching at campuses across the country. This is a major next step. 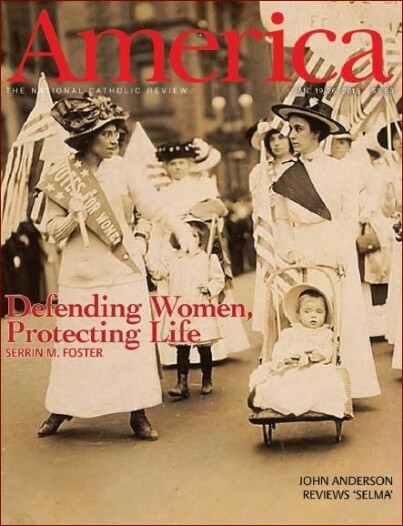 Along with the magazine, FFL has invited each women history professor to research, write and teach this long-hidden history in their curriculum. The suffragists themselves will speak directly to professors. Many of them will learn for the very first time that our feminist foremothers opposed abortion because of their belief in the worth of ALL human beings — without exception. And to help ensure saturation, FFL has offered to provide 10 copies of the magazine for Students for Life groups on campus and so that they can hand deliver “First Wave Feminists” to their women’s history professors. We are pleased to partner with SFLA on this effort. 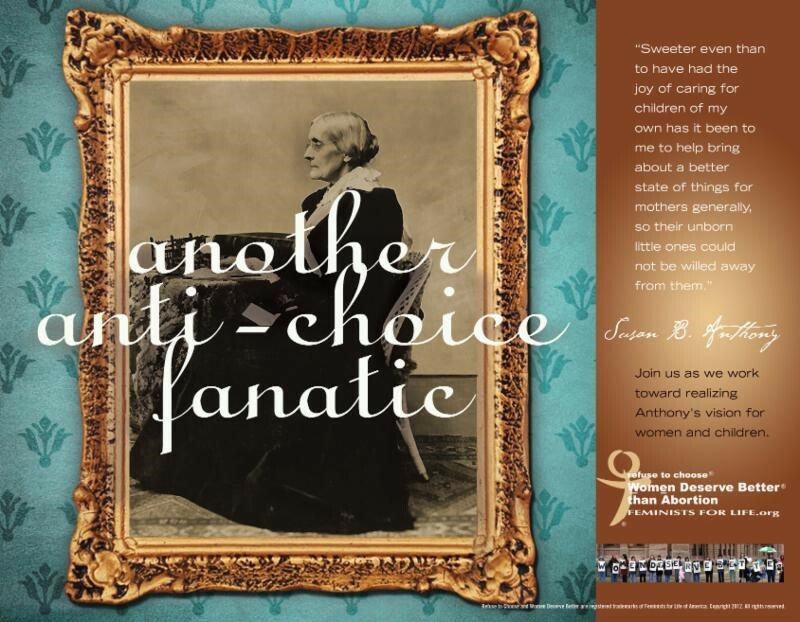 Along with the magazines, we are also donating our tongue-in-cheek poster featuring Susan B. Anthony” as an “Anti-Choice Fanatic” and links to our color flyer should they want to paper the campus! The pro-life students will also be given generous quantities of our brochure “Voices of Our Feminist Foremothers” to hand out on campus. FFL is grateful to principled and visionary women, Pat Goltz and Cathy Callahan, who founded FFL a year before the Roe v. Wade decision was handed down by the U.S. Supreme Court. It was Goltz first met suffrage leader Alice Paul; Paul told Goltz that Feminists for Life (FFL) members were not the first pro-life feminists. 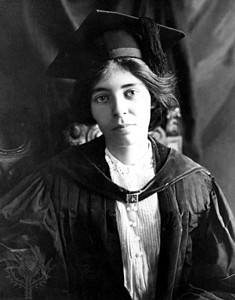 She told Goltz that the first wave feminists like Alice Paul herself opposed abortion too. While seeking solutions in homes, the workplace, in schools and in the community – especially for those at highest risk of abortion-we stay true to our core feminist beliefs of nonviolence, nondiscrimination and justice for all. While we walk our talk, it is important for us to ever remain heralds-heralds of good news, that women deserve better than abortion and every child deserves their chance at life. FFL has a history of efforts that go viral, like our College Outreach Program that focuses largely on pregnancy resources on campus. Our feminist history is the other key component. Wouldn’t it be even better if it was just a well known fact taught in every curriculum, on every campus-that students learned that our first feminists were pro-life? These three educational projects are strategic steps towards that goal.